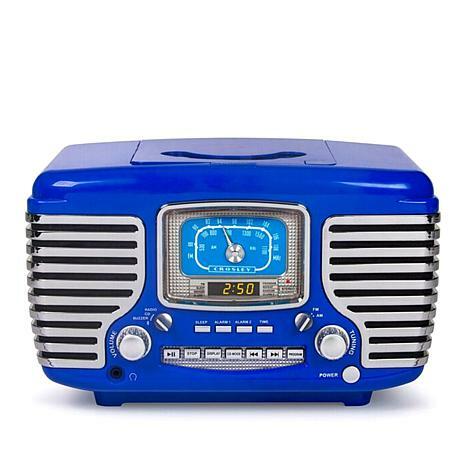 Modern functionality meets fabulous retro style in this awesome clock radio. Styled like a 1950s automobile, this beauty features enough color and chrome to get your engine revved up and rolling each morning. 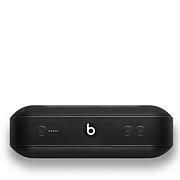 Modern touches include Bluetooth connectivity, dual independent alarms, AM/FM radio and CD player and dynamic, full-range stereo speakers to bring your wake-up call in rich clarity. Wake up and rock out, sleepyhead! Bought this radio as an early Christmas present for my husband and he really loves it. He is playing all of his Christmas music and more. It is very nice looking, very retro. I bought the red, It is beautiful. You will love it if you are thinking about it. CD player, clock, AM/FM radio, alarm with 2 timers. Very nice. Absolutely LOVE. This radio is perfect. Very simple to set up. Love that it has blue tooth. Love the blue. 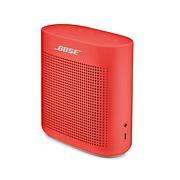 I just got mine and love it (red). I can't get AM stations in my office at work, but can get FM. So I have an FM station playing Christmas music...Everyone that comes into my office says they love my radio...you can't miss it.This is a treasure and adds much joy to my day !!!!!!! Of course it also is a CD player, but haven't brought my CD's yet. I really like the red but I'm putting it in the Front room so got the black. Used it as soon as I got it. I have just got all new furniture for my downstairs and this looks great with it all. Sounds wonderful,, Great purchase. 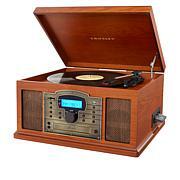 I got this to play Christmas CDs on. It boy, it is so much more. 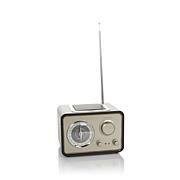 A fantastic radio, and with the Bluetooth I can play my playlist from my phone or iPad. This is the best product I could have ever purchased. Love it. And its soooo cute.